I have been using Mortgage Angels for 17 months now and of all the lead providers I have used I have found you to be most consistent. You are brilliant with leads that need to be refunded and the refunded lead is replaced immediately which is great. I have had some brilliant leads from you and I written some really good business and more importantly build relationships with clients that have lasted. I will continue to use you and always top my leads back up. Thanks so much to Sharon and the team for a really good service. After 25 years in the financial services industry, the last decade specialising in mortgages, I am now retiring and will leave the vagaries of the MMR to younger and hardier advisers! In that length of time, I made many contacts, of course, and bought many leads from various sources. Some companies offered detailed, but expensive, leads, claiming that they filtered these carefully so that each one was a precious contact who would certainly beg to do business with me. Other companies offered leads on the “pile them high and sell them cheap” method, and I wasted many hours talking to people who couldn’t possibly have obtained a mortgage from any lender. As you know, I am one of the Aston Brokers who does not work from an Estate Agency base, preferring a consultancy type approach from my own office in Essex. 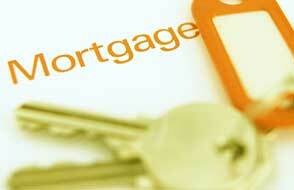 As such, a steady supply of new, good quality mortgage leads is very important to me. With the general slowing of the mortgage market I made the decision that I would start to buy in mortgage leads and wanted to test the various lead providers with a series of mini campaigns. I have just finished reviewing the success rate of various mortgage lead providers we have been using on these trial campaigns. I consider various factors such as prospects wanting to talk about their mortgage needs, ability of prospect to obtain a mortgage, prospect actually going ahead with a mortgage contract and above all else profitability of the campaign. After using 4 different lead providers over the last 3 years or so, I have found Mortgage Angels to be a breath of fresh air. The leads coming through are frequent, the applicants are keen to talk and move things forward and I dont seem to spend a large amount of time sifting through the 'dross' as I have done in the past. All this and the friendly staff and fair refund policy just leaves me thinking that I wish I had found them sooner. Just to say I have been receiving Leads from Mortgage Angels for 6 weeks now and have to say the service Levels the quality of Leads are of a high standard. Mortgage Angels are the exception to this they listen to the Advisor and will replace the Lead if there is a valid reason. Thanks again and hope to do more business with you in the future. "Home mover leads are superb value and have given me access to extended customer needs. The first batch of 40 gave me 7 new customers, which has more then paid for my initial outlay and made the decision for me to pay for more really easy. Sharon has been more then helpful in setting this up. I would highly recommend them as an economical way to generate new business". Hi Sharon : As you know I am retiring in 3 weeks but wish to thank you for your assistance throughout the last year wherein you have provided me with profitable leads on a regular basis. These leads were a valuable tool in obtaining new business throughout a difficult year for our industry. Thanks again ! "I have just taken my second batch of the home mover leads as I think they are great value. They key is to take off your “mortgage broker” hat and give them the benefit of your knowledge of the house moving process. I offer a “one stop” approach offering deals on HIPs, solicitors and insurance plus, of course, mortgages. At £2.50 per lead even a couple of household policies and the batch is paid for! Some of the leads were not in my coverage, but this has not proven a problem as I generally do my business over the phone. These are definitely leads that will bring in potential business and referrals for the future". I was pleasantly surprised when buying the insurance leads. I have now purchased 10 leads (with 10 more to come) and converted 2 into commission and 3 more with future mortgage business.